PACK OF 20 FLEECE VACUUM CLEANER BAGS AND 5 FILTERS manufactured by Europart. 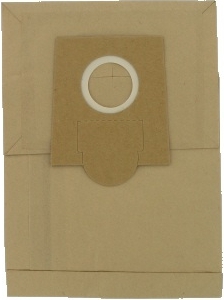 The tab at the top of the plastic collar can be used to seal the bag when full. Please scroll down for more items to fit the Bosch BS57. PACK OF 8 FLEECE VACUUM CLEANER BAGS AND 1 FILTER manufactured by Europart. 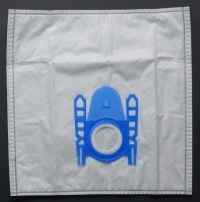 PACK OF 4 FLEECE VACUUM CLEANER BAGS AND 1 FILTER manufactured by Airflo. 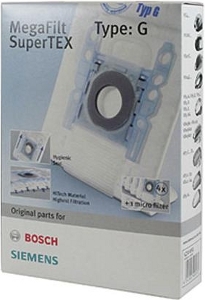 PACK OF 4 GENUINE BOSCH FLEECE VACUUM CLEANER BAGS AND 1 FILTER manufactured by Bosch. 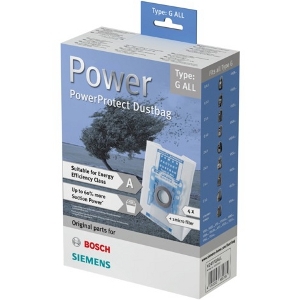 PACK OF 4 GENUINE BOSCH POWER PROTECT BAGS AND 1 FILTER manufactured by Bosch. These Power Protect dust bags allow low wattage devices a high suction. Dual pedal for both carpets and hard floors. 35mm. Note: this is a simple slide-on attachment. There is no pip/lock fitting. 30cm wide with plastic wheels nylon bristles. Note: this is a simple 35mm slide-on attachment. There is no pip/lock fitting. 35mm fitting. Note: this is a simple slide-on attachment. There is no pip/lock fitting. 35mm fitting. Good for dusting lamps air vents fans blinds and other awkward nooks and crannies. 35mm fitting. Extends from 50cm to 100cm with "twist and lock" mechanism. Note: this is a simple slide-on attachment. There is no pip/lock fitting. 35mm fitting 53cm long. Note: this is a simple slide-on attachment. There is no pip/lock fitting.